Executive Target | Ed Brown Products, Inc. The Executive Target is essentially the Executive Elite modified for precise target and range work. Instead of fixed sights, it has an adjustable rear sight. The top of the slide has been flattened and finely grooved at 40 LPI, which naturally guides your eye to the front sight and eliminates distracting glare. Known as our best firearm for target shooting, this elegant design has a beautiful simplicity that has yet to be matched. 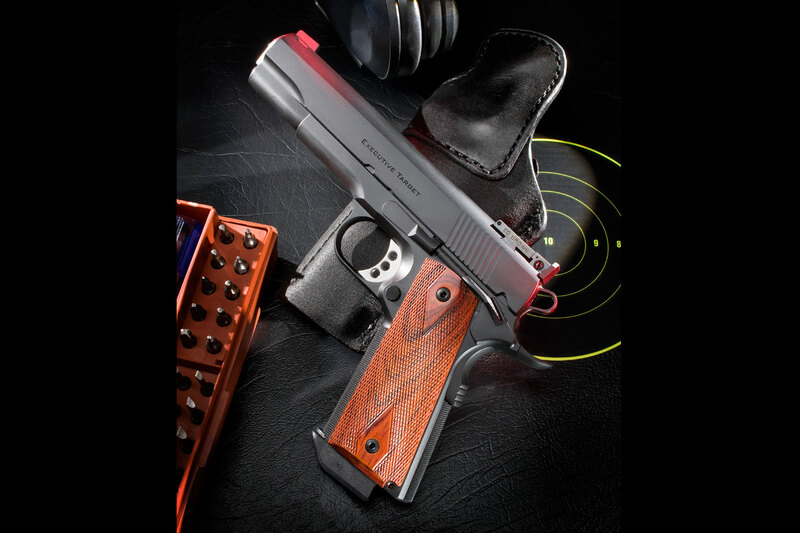 Unique with the Executive series pistols is the 25 LPI checkered frame and mainspring housing. This pattern is not too rough on the hands, but not too fine for a secure grip. 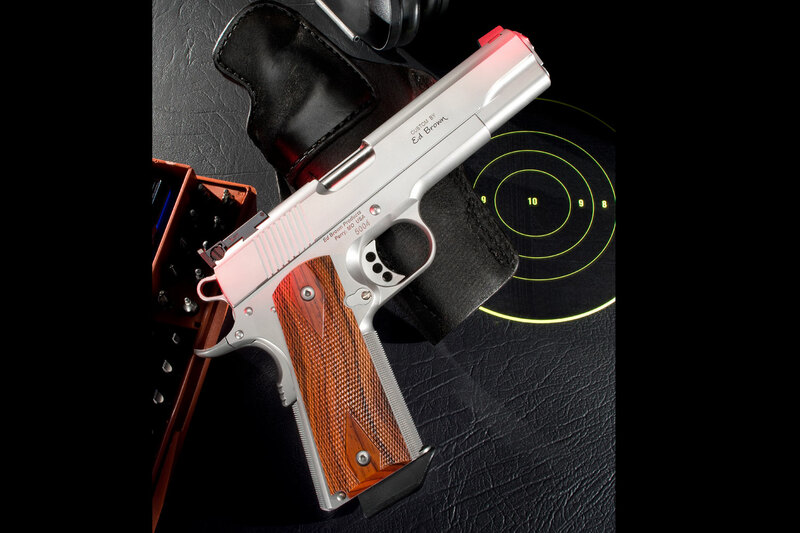 The timeless design reflects the genius of John Browning with modern flair. The Executive Target is truly at the top of it's field. Get promoted to an Executive Target - it's a serious tool for the competent professional! • 5" Government model slide, single stack government model frame. • Matte finished slide for low glare, with traditional "square cut" serrations on rear of slide only, top of slide is flattened and finely grooved at 40 LPI.